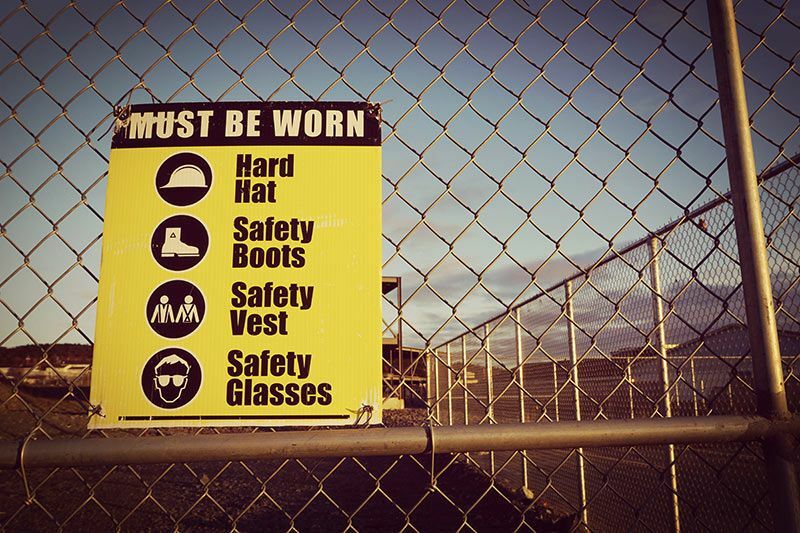 As a Construction Worker, What Safety Areas Must You Be Aware Of? Any construction worker knows there are inherent risks in the industry, as day-to-day tasks require rigorous safety precautions to minimize hazardous working conditions. Part of the job is operating or being around heavy machinery, dangerous tools, and the constant risk of falling or being hit with various materials onsite. Construction managers are designated the task of keeping workers safe by planning out project execution step by step, but it is also the worker’s right to take their safety into their own hands and implement additional safety precautions. 1. Always wear the proper safety equipment. This should be a given for any frugal construction worker, but the proper equipment for a specific project is a must! If there is hazardous debris flying around, use eye protection, if there is a falling risk, use a harness, and so on and so forth. Not wearing equipment that is designated to you by your construction manager could result in an injury that is entirely preventable. 2. First aid equipment location should be determined BEFORE an accident occurs. There is no reason to lose time searching for proper medical supplies if medical attention is required. Determining first aid equipment location prior to the operation of machinery is imperative, and could truly be helpful in case of emergency. 3. Ensure that all tools/equipment are working properly. It’s easy to take for granted that machines will do what they’re made to do, but that is not always the case. Before breaking ground, test all equipment to ensure that there will be no equipment failure. Not only can faulty equipment slow construction progress, it can cause serious injury to those operating or in range of it. 4. Talk to your manager if a safety concern arises. Communication is arguably one of the most important parts in guaranteeing the safety of all those working onsite, so if any aspect of project safety seems questionable, discuss this with your superior so that proper steps can be taken by those who are qualified to do so. Madden Industrial Craftsmen not only places candidates with top construction companies, but is knowledgeable of the industry as a whole due to over 25 years of experience. Contact us today to work with a leader in construction staffing in the Pacific Northwest. Our team will help you learn more about how our construction staffing specialists can assist you with finding a position that fits your needs. Previous Previous post: Will Construction Worker Shortages Slow the Economy?